What the Heck Avenue is going on here? Ocean Grove Beach. at Heck Avenue September 22, 2018. 6:30 pm. Paul Goldfinger © Click to sort it all out. The OG Beach at Heck Avenue was pretty active at twilight on a Saturday. 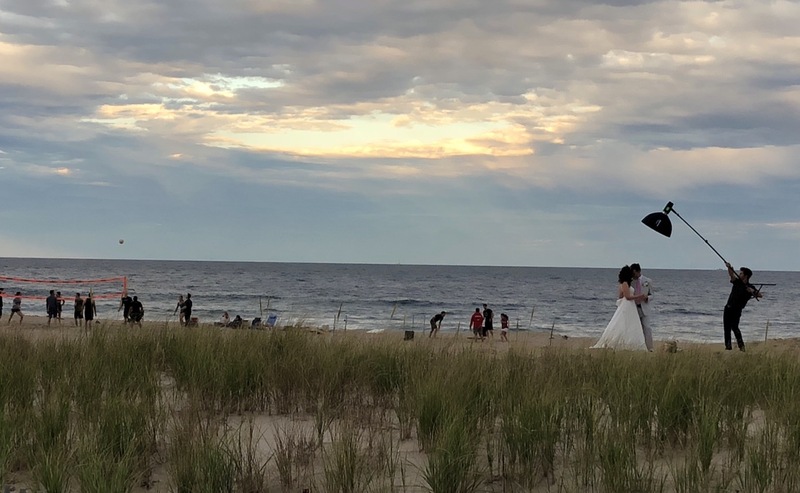 A big party with dancing and a sit-down dinner on the front lawn was going on across the street at the Handford House on Ocean Ave.
On the beach there was a bridal photo shoot near the dunes, and by the water was a big volley ball game. Who said that the “season” is over after Labor Day?